Matching today’s high horsepower combines, faster harvest speeds, tougher crop genetics, and with unpredictable harvest conditions. This robust rigid frame, developed with advanced structural computer aided design techniques and includes two reinforced strengthening webs for max durability. 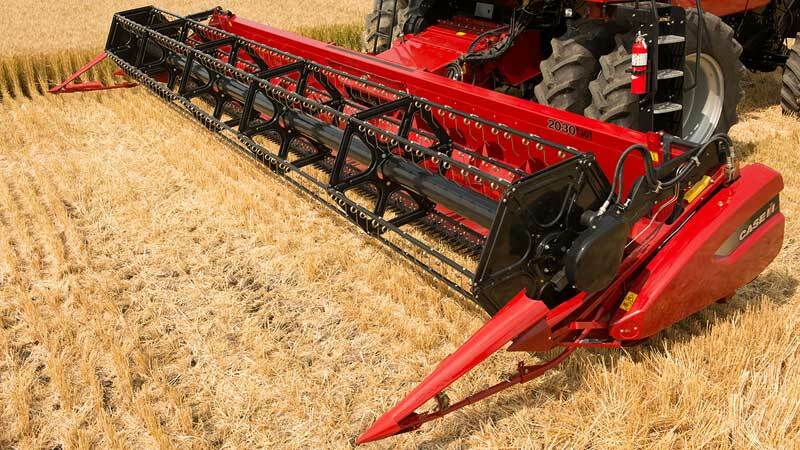 The Case IH 2030 six bat reel is designed to positively engage the crop, and then gently lift the crop and move it over the cutter bar and across the auger floor to be conveyed by the auger. The reel design and gentle crop engagement is imperative to ensure proper feeding and cutting to promote increased grain savings and grain quality.